"It should not be supposed", writes A. M. Paterson of Bruno and his "heliocentric solar system," that he "reached his conclusions via some mystical revelation....His work is an essential part of the scientific and philosophical developments that he initiated." Paterson echoes Hegel in writing that Bruno "ushers in a modern theory of knowledge that understands all natural things in the universe to be known by the human mind through the mind's dialectical structure". ^ Shackelford, Joel (2009). 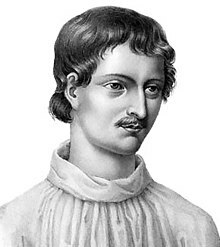 "Myth 7 That Giordano Bruno was the first martyr of modern science". 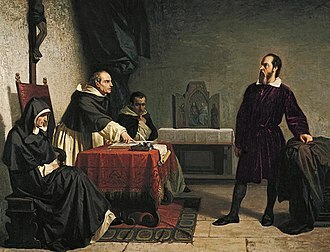 In Numbers, Ronald L. Galileo goes to jail and other myths about science and religion. Cambridge, MA: Harvard University Press. p. 66. 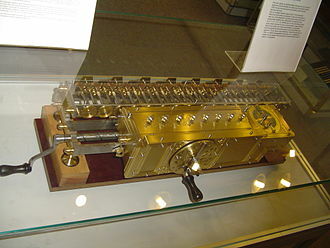 "Yet the fact remains that cosmological matters, notably the plurality of worlds, were an identifiable concern all along and appear in the summary document: Bruno was repeatedly questioned on these matters, and he apparently refused to recant them at the end.14 So, Bruno probably was burned alive for resolutely maintaining a series of heresies, among which his teaching of the plurality of worlds was prominent but by no means singular." ^ Montano, Aniello (2007). Antonio Gargano, ed. Le deposizioni davanti al tribunale dell'Inquisizione. Napoli: La Città del Sole. p. 71. In Rome, Bruno was imprisoned for seven years and subjected to a difficult trial that analyzed, minutely, all his philosophical ideas. Bruno, who in Venice had been willing to recant some theses, become increasingly resolute and declared on 21 December 1599 that he 'did not wish to repent of having too little to repent, and in fact did not know what to repent.' Declared an unrepentant heretic and excommunicated, he was burned alive in the Campo dei Fiori in Rome on Ash Wednesday, 17 February 1600. 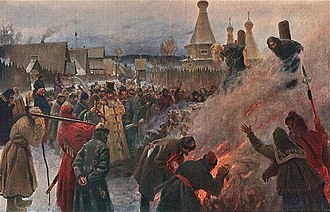 On the stake, along with Bruno, burned the hopes of many, including philosophers and scientists of good faith like Galileo, who thought they could reconcile religious faith and scientific research, while belonging to an ecclesiastical organization declaring itself to be the custodian of absolute truth and maintaining a cultural militancy requiring continual commitment and suspicion. ^ Rosenau, Josh (2014-03-18). 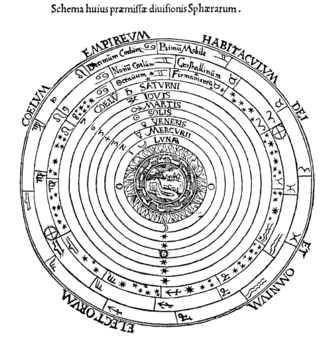 "Why Did Cosmos Focus on Giordano Bruno?". National Center for Science Education. Retrieved 14 April 2014. ^ "Tom Hunley's "Epiphanic Structure in Heather McHugh's Ars Poetica, 'What He Thought'"". Voltage Poetry. 2013-02-21. 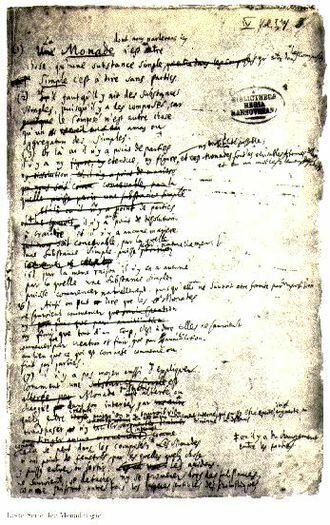 ^ "'Meanings of "contractio" in Giordano Bruno's Sigillus sigillorum' – Staff". 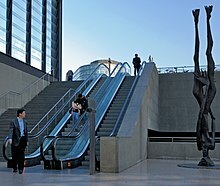 2005-03-30. 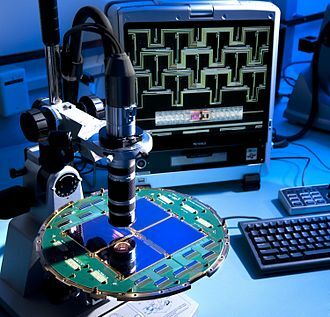 ^ "Progress and the Hunter's Lamp of Logical Methods". galileo. 2015-06-24. Aquilecchia, Giovanni; montano, aniello; bertrando, spaventa (2007). Gargano, Antonio, ed. Le deposizioni davanti al tribunale dell'Inquisizione. La Citta del Sol. Only in manuscripts were his names reversed as Ambrosius Theodosius Macrobius, which James Willis adopted for his edition of the Commentary. 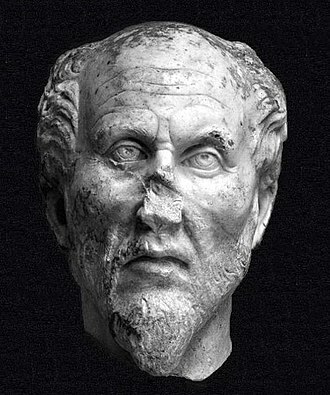 Little is known for certain about Macrobius, but there are many theories and he states at the beginning of his Saturnalia that he was born under a foreign sky, and both of his major works are dedicated to his son, Eustachius. 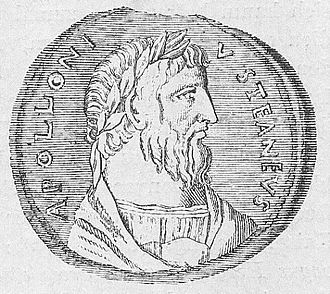 His major works have led experts to assume that he was a pagan, which foreign sky Macrobius was born under has been the subject of much speculation. Terrot Glover considers Macrobius either an ethnic Greek, or born in one of the Greek-speaking parts of the Roman Empire, such as Egypt, J. E. Sandys went further and argued that Macrobius was born in one of the Greek provinces. 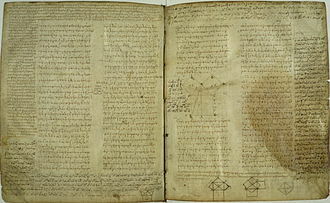 Scholars have attempted to identify him with a Macrobius who is mentioned in the Codex Theodosianus as a prefect of Spain. The Codex Theodosianus records a praepositus named Macrobius in 422, a number of older authorities go so far as to identify Macrobius the author with the first, and date his floruit to 399–410. Further, Cameron points out that during his lifetime Macrobius was referred to as Theodosius and it is significant that the only surviving law addressed to this Theodosius sanctions a privilege for Africa Proconsularis on the basis of information received concerning Byzacena, Cameron notes. Macrobiuss most influential one of the most widely cited books of the Middle Ages—was a commentary in two books on the Dream of Scipio narrated by Cicero at the end of his Republic. In astronomy, this work is noted for giving the diameter of the Sun as twice the diameter of the Earth. Of a third work On the Differences and Similarities of the Greek and Latin Verb, we possess an abstract by a certain Johannes. See editions by Ludwig von Jan, Franz Eyssenhardt, James Willis, the grammatical treatise will be found in Jans edition and Heinrich Keils Grammatici latini, see Georg Friedrich Schömann, Commentatio macrobiana. Macrobiuss Saturnalia consists of an account of the held at the house of Vettius Agorius Praetextatus during the holiday of the Saturnalia. Born in Rome, Giordano played for most of his career with Lazio, debuting in Serie A on 5 October 1975. He soon revealed himself to be one of the most effective Italian strikers, winning the Serie A capocannoniere title during the 1978–79 season, scoring 19 goals. In 1980 he was arrested under the charge of participating in the national footballing betting scandal and he is currently Lazios top ever goalscorer in the Coppa Italia. In 1985, he was sold to Napoli for 5 billion lire, at Napoli, along with Diego Maradona and Careca, he formed the famed Ma-Gi-Ca front line. He played for Bologna and Ascoli, before turning to a coaching career and he made three appearances for Italys Olympic squad, scoring twice. Giordanos managing career before coaching Messina was somewhat modest, starting in 1993–94 with Monterotondo of Serie D, sacked six times in his career, he remained unemployed. After a good season with Reggiana in 2004–05, he ended in fifth place despite his clubs serious financial troubles, on January 2006, he was called to coach the last-place Serie B team Catanzaro, in a situation widely similar to Reggianas. 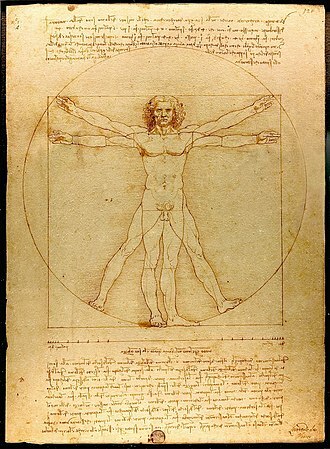 Platos theory of Forms or theory of Ideas argues that non-physical forms represent the most accurate reality. When used in this sense, the form or idea is often capitalized. 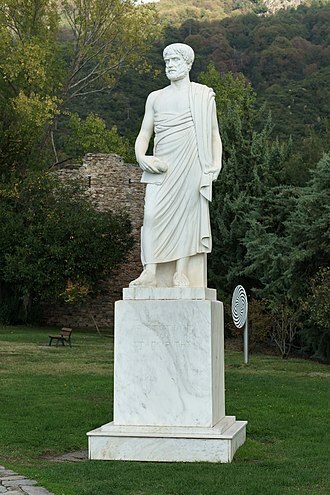 However, the theory is considered a classical solution to the problem of universals, the early Greek concept of form precedes attested philosophical usage and is represented by a number of words mainly having to do with vision and appearance. 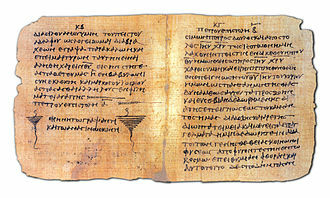 The words, εἶδος and ἰδέα come from the Indo-European root *weid-, eidos is already attested in texts of the Homeric era, the earliest Greek literature. This transliteration and the tradition of German and Latin lead to the expression theory of Ideas. The word is not the English idea, which is a mental concept only. The pre-Socratic philosophers, starting with Thales, noted that appearances change, the answer was substance, which stands under the changes and is the actually existing thing being seen. The status of appearances now came into question, what is the form really and how is that related to substance. Thus, the theory of matter and form was born, starting with at least Plato and possibly germinal in some of the presocratics the forms were considered as being in something else, which Plato called nature. The latter seemed as carved wood, ὕλη in Greek, corresponding to materia in Latin, from which the English word matter is derived, shaped by receiving forms. The Forms are expounded upon in Platos dialogues and general speech, in every object or quality in reality has a form, human beings, colors, love. Form answers the question, What is that, Plato was going a step further and asking what Form itself is. He supposed that the object was essentially or really the Form and that the phenomena were mere shadows mimicking the Form, that is, momentary portrayals of the Form under different circumstances. For example, Parmenides states, again, if a person were to show that all is one by partaking of one, but if he were to show me that the absolute one was many, or the absolute many one, I should be truly amazed. 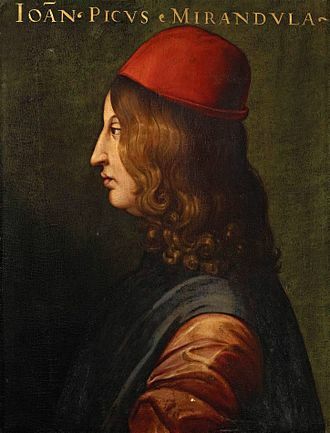 Giovanni Pico della Mirandola was an Italian Renaissance nobleman and philosopher. Giovanni was born at Mirandola, near Modena, the youngest son of Gianfrancesco I Pico, Lord of Mirandola and Count of Concordia, by his wife Giulia, daughter of Feltrino Boiardo, Count of Scandiano. 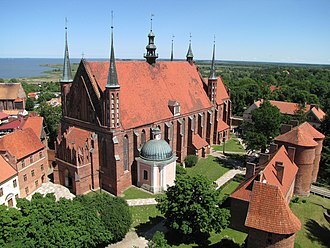 The family had long dwelt in the Castle of Mirandola, which had become independent in the century and had received in 1414 from the Holy Roman Emperor Sigismund the fief of Concordia. Mirandola was an autonomous county in Emilia, near Ferrara. The Pico della Mirandola were closely related to the Sforza and Este dynasties, and Giovannis siblings wed the descendants of the rulers of Corsica, Bologna. Giovannis maternal family was distinguished in the arts and scholarship of the Italian Renaissance. His cousin and contemporary was the poet Matteo Maria Boiardo, who grew up under the influence of his own uncle, a precocious child with an exceptional memory, Giovanni was schooled in Latin and possibly Greek at a very early age. Intended for the Church by his mother, he was named a papal protonotary at the age of ten, at the sudden death of his mother three years later, Pico renounced canon law and began to study philosophy at the University of Ferrara. During a brief trip to Florence, he met Angelo Poliziano, the courtly poet Girolamo Benivieni, for the rest of his life he remained very close friends with all three, including the ascetic and anti-humanist Savonarola. 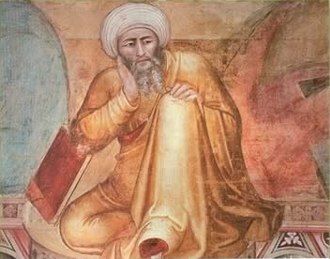 From 1480 to 1482, he continued his studies at the University of Padua, already proficient in Latin and Greek, he studied Hebrew and Arabic in Padua with Elia del Medigo, a Jewish Averroist, and read Aramaic manuscripts with him as well. 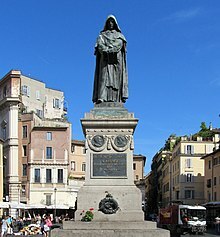 Del Medigo translated Judaic manuscripts from Hebrew into Latin for Pico, Pico wrote sonnets in Latin and Italian which, because of the influence of Savonarola, he destroyed at the end of his life. He spent the four years either at home, or visiting humanist centres elsewhere in Italy. 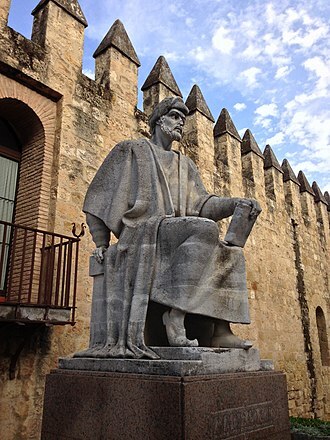 In 1485, he travelled to the University of Paris, the most important centre in Europe for Scholastic philosophy and theology, and it was probably in Paris that Giovanni began his 900 Theses and conceived the idea of defending them in public debate. Marsilio Ficino was an Italian scholar and Catholic priest who was one of the most influential humanist philosophers of the early Italian Renaissance. He was an astrologer, a reviver of Neoplatonism in touch with every major academic thinker and writer of his day and his Florentine Academy, an attempt to revive Platos Academy, influenced the direction and tenor of the Italian Renaissance and the development of European philosophy. 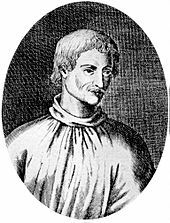 Ficino was born at Figline Valdarno, Giovanni Pico della Mirandola, the Italian humanist philosopher and scholar was another of his students. 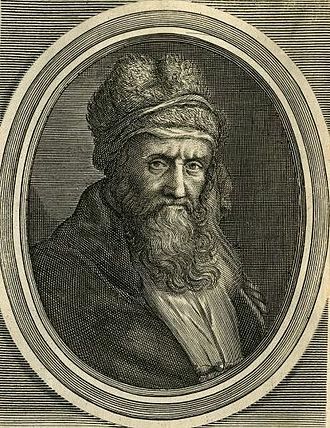 In 1459 John Argyropoulos was lecturing on Greek language and literature at Florence, when Cosimo decided to refound Platos Academy at Florence he chose Ficino as its head. 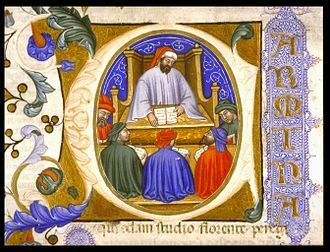 In 1462, Cosimo supplied Ficino with Greek manuscripts of Platos work, among his many students was Francesco Cattani da Diacceto, who was considered by Ficino to be his successor as the head of the Florentine Platonic Academy. Diaccetos student, Giovanni di Bardo Corsi, produced a biography of Ficino in 1506. A physician and a vegetarian, Ficino became a priest in 1473, in 1474 Ficino completed his treatise on the immortality of the soul, Theologia Platonica de immortalitate animae. 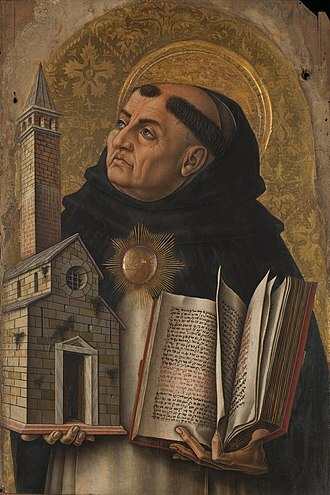 In the rush of enthusiasm for every rediscovery from Antiquity, he exhibited a great interest in the arts of astrology, in 1489 he was accused of magic before Pope Innocent VIII and needed strong defense to preserve him from the condemnation of heresy. This century appears to have perfected astrology, Ficinos letters, extending over the years 1474–1494, survive and have been published. Now if those little men grant life to the smallest particles of the world, neither to know that the Whole, in which we live and move and have our being, is itself alive, nor to wish this to be so. 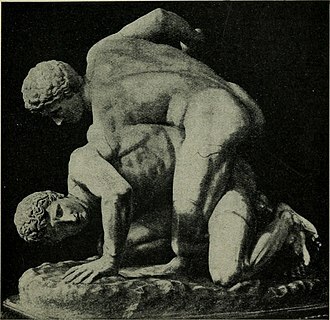 One metaphor for this integrated aliveness is Ficinos astrology, in the Book of Life, he details the interlinks between behavior and consequence. It talks about a list of things that hold sway over a mans destiny and those works, which were very popular at the time, dealt with astrological and alchemical concepts. John Scotus Eriugena, or Johannes Scotus Erigena was an Irish theologian, neoplatonist philosopher, and poet. 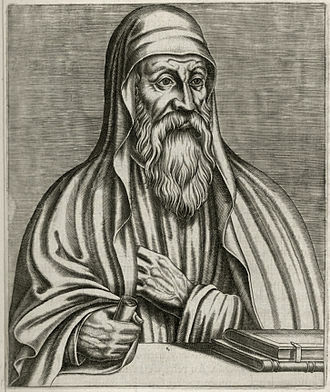 Erigena argued on behalf of something like a pantheistic definition of nature and he translated and made commentaries upon the work of Pseudo-Dionysius, and was one of the few European philosophers of his day that knew Greek, having studied in Athens. 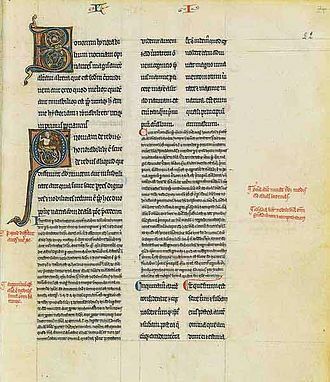 Famously, he is said to have been stabbed to death by his students at Malmesbury with their pens, the form Eriugena of his byname is used by John Scotus to describe himself in one manuscript. Scottus in the Middle Ages was the Latin term for Irish or Gaelic, so his name translates as John, scotti was the name that the Romans called the Irish. The spelling Scottus has the authority of the early manuscripts until perhaps the 11th century, occasionally he is named Scottigena in the manuscripts. He is not to be confused with the philosopher John Duns Scotus, Johannes Scotus Eriugena was an Irishman, educated in Ireland. He moved to France and took over the Palatine Academy at the invitation of Carolingian King Charles the Bald and he succeeded Alcuin of York as head of the Palace School. The reputation of this school, part of the Carolingian Renaissance, seems to have increased greatly under Eriugenas leadership, and he remained in France for at least thirty years, and it was almost certainly during this period that he wrote his various works. The latter part of his life is unclear, there is a story that in 882 he was invited to Oxford by Alfred the Great, laboured there for many years, became abbot at Malmesbury, and was stabbed to death by his pupils with their styli. Whether this is to be literally or figuratively is not clear. He probably never left France, and the date of his death is given as 877. From the evidence available, it is impossible to determine whether he was a cleric or a layman and his work is largely based upon Saint Augustine, Pseudo-Dionysius, Maximus the Confessor, and the Cappadocian Fathers, and is clearly Neoplatonist. 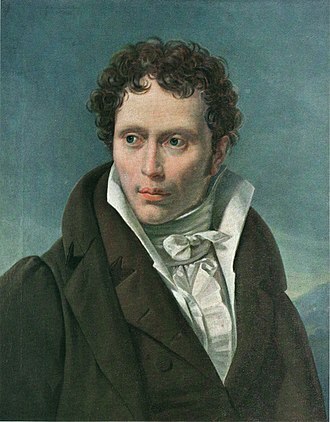 He revived the transcendentalist standpoint of Neoplatonism with its graded hierarchy approach, by going back to Plato, he revived the nominalist-realist debate. Bust of Ficino by Andrea Ferrucci in Florence Cathedral. Corpus Hermeticum: first edition, by Marsilio Ficino, 1471, at the Bibliotheca Philosophica Hermetica, Amsterdam.